Ken Brodkowitz and Mike Vermut has revealed in a filing that they have significantly boosted their position in Global Brass and Copper Holdings Inc (NYSE:BRSS) to 1.30 million shares from 421,234 shares held at the end of September 2013. The stake currently amasses around 6.2% of the company’s stock. A number of insiders were selling the stock a couple of months ago. 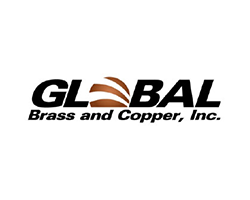 David Shapiro and Michael Psaros, director at Global Brass and Copper Holdings Inc (NYSE:BRSS) dumped 5.75 million shares and now holds 7.31 million shares each. Another large shareholder at Global Brass Halkos Holdings, Llc, also sold 5.75 million shares on the same day. Of the other hedge funds that we track, Peter S. Park’s Park West Asset Management, is the largest shareholder of Global Brass and Copper Holdings Inc (NYSE:BRSS), amassing 1.28 million shares worth $22.47 million. Citadel Investment Group, managed by Ken Griffin, raised its stake by by 253% in the third quarter of 2013 and currently holds 1.22 million shares. Pentwater Capital Management, run by Matthew Halbower, is also bullish on Global Brass and Copper Holdings Inc (NYSE:BRSS), and initiated a position in the stock in the third quarter, and holds 425,000 shares. Newland Capital is a long/short equity hedge fund. The fund has 10.15% of its equity portfolio invested in General Electric Company (NYSE:GE), and owns 331,176, with a reported value of $7.91 million. On the second spot is Quality Distribution, Inc. (NASDAQ:QLTY), wherein the fund holds 695,444 shares, which represents 8.24% of its equity portfolio. Altra Industrial Motion Corp (NASDAQ:AIMC) is the fund’s third largest position, in which the fund has 208,441 shares worth $5.61 million. All these position were initiated in the third quarter of 2013. Another company where the fund initiated a position in the third quarter is Edgen Group Inc (NYSE:EDG), stands at the fourth position in terms of value in the Newland Capital’s equity portfolio. The fund now has 541,754 shares of the company.